Looking For Commercial Roofing in Vancouver, BC? 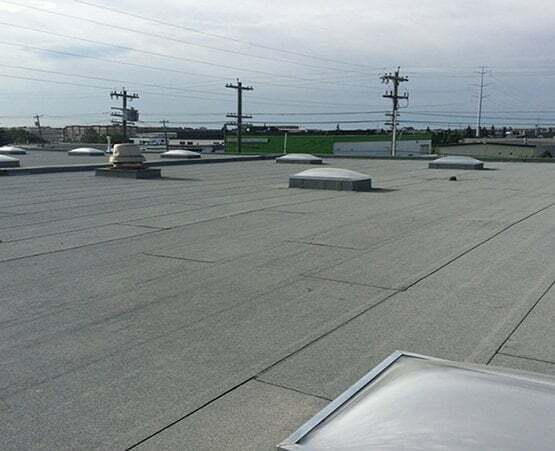 We offer efficient, economical commercial roofing for any business. We do anything from small businesses to large corporate offices throughout the Lower Mainland area. Business owners rely on us for superior commercial roof repair, installations, re-roofing, and upgrades. We install roofs for new commercial construction and also perform maintenance on any building. Our customer satisfaction is our priority. We pride ourselves on being flexible, efficient, and have great attention to detail. We offer warranties on all our material and labor. If you have questions about our warranties or anything else please give us a call.